Despite the forecast, Jenny Lane was bathed in sunshine for the start of this local derby between two teams separated only by two places and five points in the league table. The pitch was rather sodden from the weeks rain but there was no standing water and the combination of the sunshine and light breeze was helping to make the conditions conducive to attractive rugby. The visitors played up the slope in the first half and on 7 minutes opened the scoring from a scrum just inside the Baildon half. The ball was moved wide and full-back Alex Murphy joined the line to create confusion in the home defence. Murphy made good ground and then found winger Westland with an inside pass. The ball was then transferred to stand-off Cooper who beat the defence to score an excellent try in the corner. The remainder of the first half proved to be a war of attrition with Baildon trying to prevent a flow of possession to the dangerous Old Otliensians back division. To some extent this was achieved with the visitors being limited to adding a penalty goal for an 8-0 half-time lead. Baildon made an excellent start to the second half but were repelled by solid defence. On 53 minutes Old Otliensians scored a second long distance try from just outside their own 22-metre line. 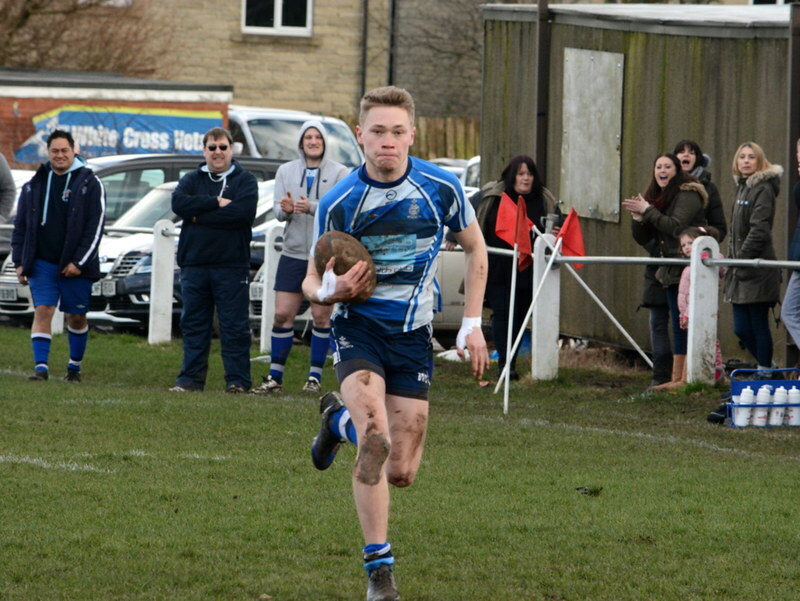 Luke Cowdell managed to bust through a tackle and made good ground before releasing wingman Josh Howarth who outpaced the defence to score wide out. An excellent conversion from Cooper gave the visitors what appeared a comfortable 15-0 lead. However, from the resulting kick-off Baildon were awarded a scrum. They moved the ball to the blindside and created enough space to score a try reducing the arrears to 5-15. With 20 minutes remaining Old Otliensians moved up a gear and scored a third try when Josh Howarth crashed over from short range. The visitors were then reduced to 14-men when centre Olly Eaves was sent to the sin-bin for a technical foul on his opposite number. Despite being a man down Old Otliensians continued to attack from deep and scored the try of the match when from inside his own 22-metre line Cooper chipped over the defence for Cowdell to gather make ground and then release Murphy to score under the posts. The conversion giving Old Otliensians a 27-5 lead. To their credit Baildon continued to throw everything at the Old Otliensians defence but could not find a way through. Having already secured a bonus point and with the result no longer in doubt the visitors added a fifth try when Cowdell exploited an undefended blindside to dance down the touchline and score under the posts. Cooper added the extras for an emphatic 34-5 win. Man of the match Will Cooper scored an impressive 14 points and despite his tender years marshalled his back division like a seasoned veteran. Old Otliensians will take a great deal of confidence from this result and will look to finish the rest of this season on a high note.